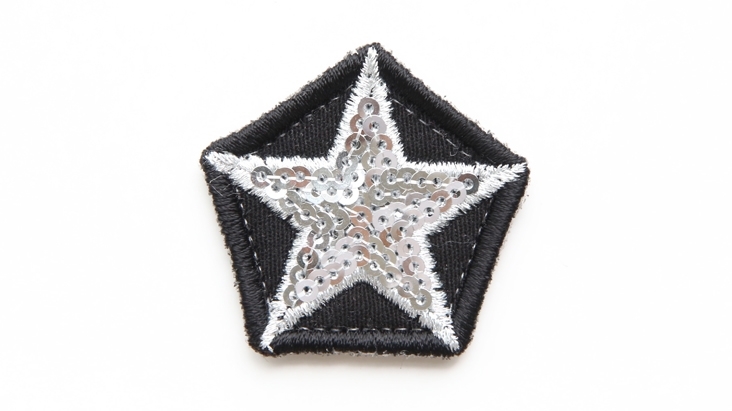 Made to shine, our star patch in silver sequins is perfect to add some sparkle to any bag. This small patch fits beautifully in between two letters on bags and cases that accommodate three small patches. Sticker up anything - from our beauty bags to onesies - make your mark. Our micro gripper patches are now 30% smaller than ever before offering a more discerning and exquisite look.